After much waiting and testing and waiting, Spring has arrived in Washington and the first real bloom began to show today. I believe peak will be Saturday and Sunday around the Tidal Basin while some areas like Arlington Cemetery have already begun and it’s time to get over there and make some pictures. You can see more f these images at the PHOTO LIBRARY. 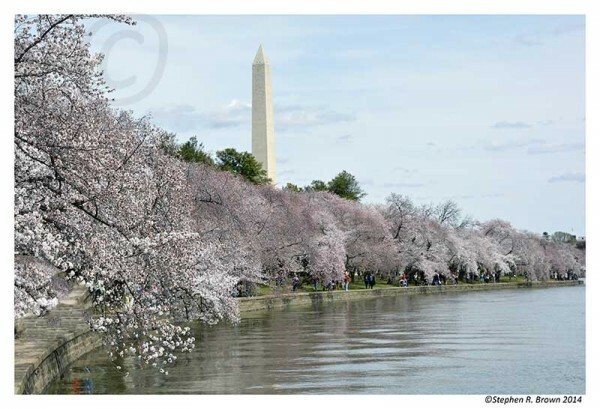 April 9, 2014 | Filed under Blogs, Books, DC Photo Book, Photography and tagged with Current Affairs, DC PHOTO BOOK, National Park, photography, Travel, Washington.